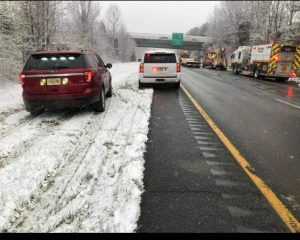 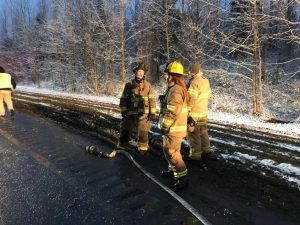 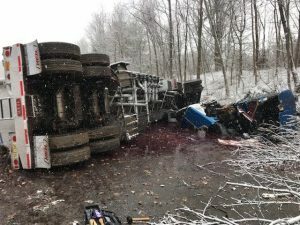 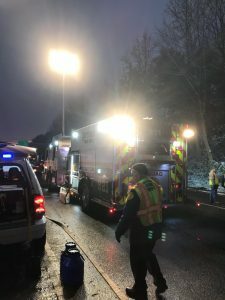 On Wednesday December 5, 2018, the Deptford Fire Department was dispatched to Route 55 southbound for a commercial motor vehicle crash. 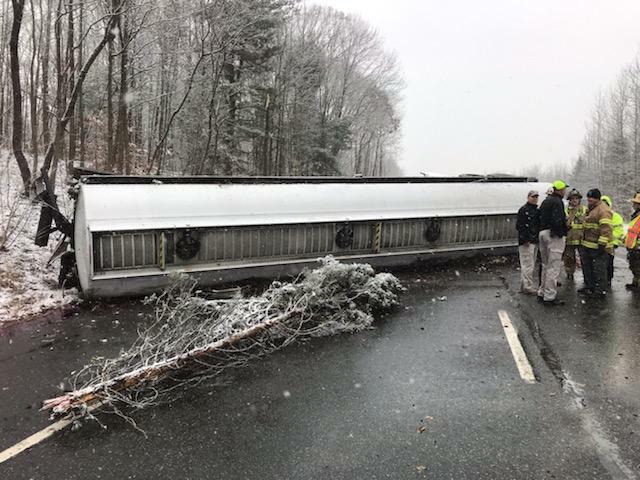 Units arrived on location finding a tractor trailer tanker rolled over leaking diesel fuel. 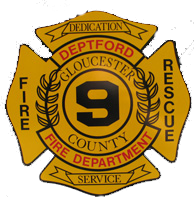 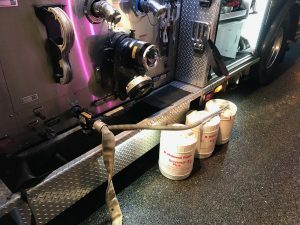 Crews from the Deptford Fire Department arrived with crews from the Mantua and Glassboro Fire Departments………..